SEO never went away, but there was a time when big companies with big budgets could drive their quota of new customers from PPC without the more demanding discipline of SEO. That situation has changed dramatically however, as demand and competition for every semantic niche has driven bid prices steadily higher. The typical Digital Marketer in 2018 was balancing his cheaper and free forms of customer acquisition against the more expensive PPC to be able to continue dominating the bidding while remaining competitive. There are two things that have already begun to change dramatically in response to this competitive pressure. 1. A new emphasis on targeting and conversion skills. We happen to believe that for even the top performers, targeting is dismal and vast sums are wasted on the wrong segments, poor assumptions and weak copy. This will continue to improve and while it does it represents a huge opportunity for those of us equipped to deal with it effectively. 2. Emphasis on Information Architecture and SEO as a joint way to engage both search engines and visitors. SEO in the past was mostly very Grey or even Black hat in nature. Why be good and look after the customer when you could play with some words, write some gibberish and land swarms of visitors. The problem with these approaches was that delivering “Visitors” met their goals as SEO practitioners, but it didn’t drive customers and then Google penalised them heavily. Success requires a healthy flow of organic visitors that convert into customers and maximise your customer lifetime value. Even if your main business is events, or a store, you still need to competing at least ,with your closest rivals for this source of nearly-free customers, only then will you be able to compete on costs. 1. A Site that wins strong organic traffic today has good content that people are seeking. That means they are in a great position to convert these visitors. SEO success is still about recommendation and high quality Back-links, but it is now increasingly about better information architecture, i.e. the keywords you promote really do represent the content on your site and other visitors really do respect it. These are the same quality scores that drive strong conversion of PPC visitors. To achieve that goal requires a long term information strategy based on quality and with a definite customer focus. Notice we call it Information Strategy, NOT Content Strategy. 2. A Site that has a high ranking for SEO, pays substantially less for the high value visitors when investing in PPC, another very strong reason to build a sound reputation with Google. 3. Reputation both on Social Media and Customer reviews is now a critical part of both SEO and converting visitors. 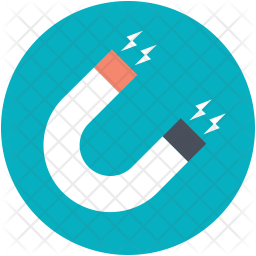 A visitor from Organic search is 2.5 times more likely to purchase from you than a paid visitor. Since the Penguin and other penalties, there has been a huge growth in negative or Red Hat SEO attacks. It is now so easy to get on the wrong side of the Google algorithm that unscrupulous people will pay to give your site weak back-links, or bad reviews and drive your business off the Search results for an extended time. This can be very costly as well as embarrassing, but it illustrates how important it is to stay on top of SEO. 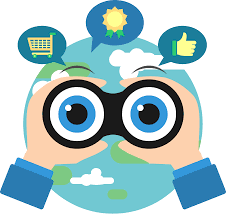 Let us review your current SEO status and send you a detailed report free of charge. This is not a quick automated scan, but a peer reviewed report. It contains about 60% of the content we used to charge £300 for. If you are aware, or concerned that your SEO status has slipped or your strategy neglected and you are worried about leaving yourself too big a climb, now is the time get a clear report and state of play and decide on the way forward.